Designed as a multi-mission, tiltrotor military aircraft with both vertical takeoff and landing (VTOL), the MV-22B Bell Osprey has unique qualities for transport and medevav operations. Its short takeoff and landing (STOL) capabilities allows to perform secret and cover operations in short spaces as well as air-mobile deployment of standard troops. It is designed to combine the functionality of a conventional helicopter with the long-range, high-speed cruise performance of a turboprop aircraft. The United States Marine Corps fielded the MV-22B Osprey in 2007 and then progressively replaced their Boeing Vertol CH-46 Sea Knights. The Osprey’s other operator, the U.S. Air Force, fielded their version of the tiltrotor in 2009. Since entering service with the U.S. Marine Corps and Air Force, the Osprey has been deployed in transportation and medevac operations over many countries. The potential users of the MV-22B Osprey include Japan, India, Israel, South Korea and United Arab Emirates. On 21 November 2014, the Japanese Ministry of Defense officially decided to acquire 17 V-22s. 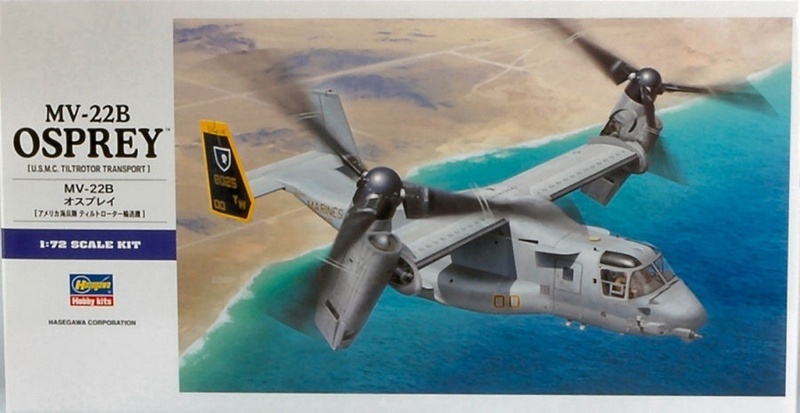 The units will be delivered from FY 2014 to FY 2019.In January 2015, Japan’s parliament approved a purchase for five V-22s. (Source wiki). The Bell Boeing V-22 Osprey is an American multi-mission, military, tiltrotor aircraft with both a vertical takeoff and landing (VTOL), and short takeoff and landing (STOL) capability. It is designed to combine the functionality of a conventional helicopter with the long-range, high-speed cruise performance of a turboprop aircraft.The V-22 originated from the United States Department of Defense Joint-service Vertical take-off/landing Experimental (JVX) aircraft program started in 1981. The team of Bell Helicopter and Boeing Helicopters was awarded a development contract in 1983 for the tiltrotor aircraft. The Bell Boeing team jointly produce the aircraft. The V-22 first flew in 1989, and began flight testing and design alterations; the complexity and difficulties of being the first tiltrotor intended for military service in the world led to many years of development.The United States Marine Corps began crew training for the Osprey in 2000, and fielded it in 2007; it is supplementing and will eventually replace their CH-46 Sea Knights. The Osprey’s other operator, the U.S. Air Force, fielded their version of the tiltrotor in 2009. Since entering service with the U.S. Marine Corps and Air Force, the Osprey has been deployed in both combat and rescue operations over Iraq, Afghanistan and Libya. Combining the speed of an aircraft with the maneuverability of a helicopter, the MV-22B Osprey makes a great choice for transporting senior White House personnel. It’s able to fully realize HMX-1s mission-transporting ranking VIPs from wherever they are to wherever they need to be quickly and safely. So far, the Osprey is used mainly on “Green Side” missions-carrying VIPs, but not the President or VP. In the future, the Osprey may be transferred to “White Side” missions-transporting the highest ranking individuals in America. Kit features a display stand and two HMX-1 decals.